The common problem of my hosting clients is not being able to login after installing a problematic or faulty WordPress theme. So, the only solution for this type of problem is to login to your cPanel and delete that particular theme. 2. 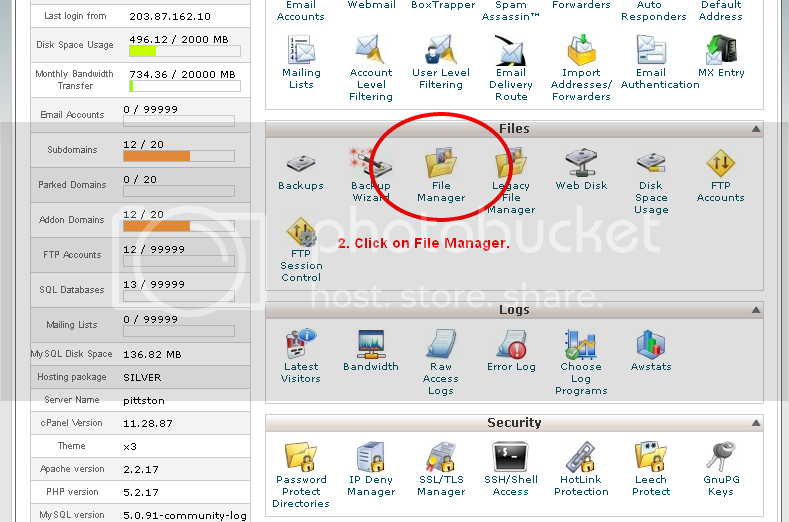 Once you are at your cPanel dashboard, look for “File Manager” folder and click it. 3. A window will pop-up. 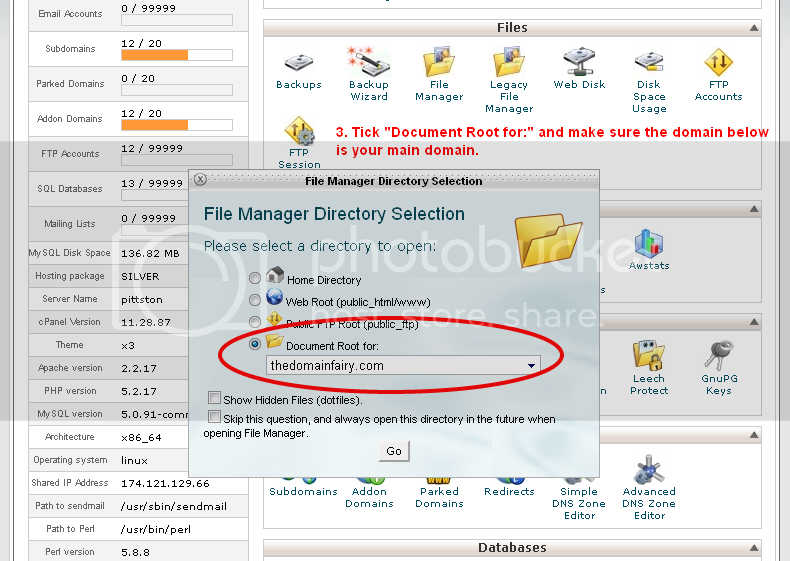 Tick “Document Root for:” and then make sure the domain below the field is your main blog (we can do direct but we will do this slowly). 4. A new tab will open, the file manager. 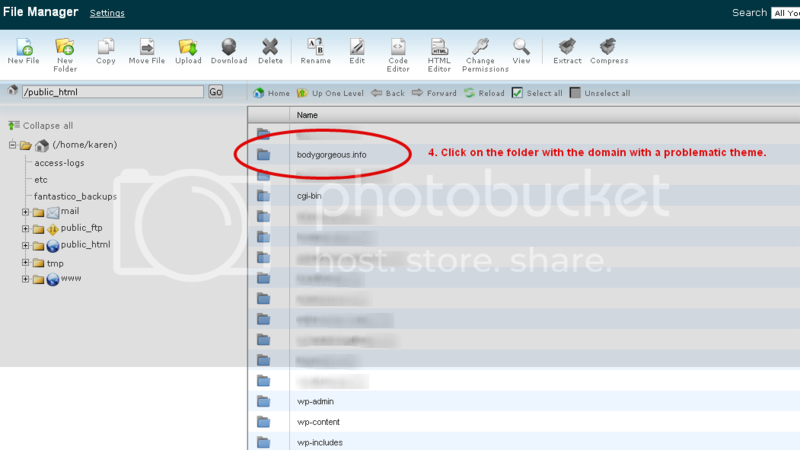 Look for the domain with the problematic theme and click. If the main domain is having problems, proceed to Step 5. 5. 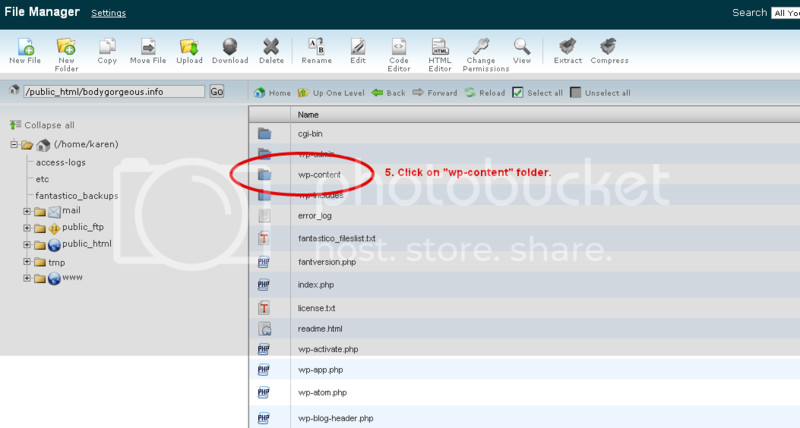 Click on “wp-content” folder. 7. Look for the problematic theme. Click on it and then click delete. 8. Another window will prompt to make sure you want to delete it and then click “delete file(s)” if you are sure. 10. At your WordPress dashboard, look for Appearance and click on Themes; doing this will automatically have your blog’s WordPress theme reverted to the default theme. 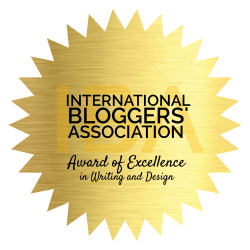 Now, you can see your blog again!! Congratulations!! TIP: Always click on PREVIEW before activating a newly installed WordPress theme to prevent the occurrence of this kind of problem. If you see a blank page when you click preview, the probability of the theme’s incompatibility to your recent version of WordPress blog is 100%! So don’t activate it! Thanks so much Mommy Rubz for this helpful and informative tutorial. Now I know how I could get rid of having this syntax error. Lesson learned: Always preview the theme, not just install it immediately. hehehe 🙂 Thanks again Mommy! 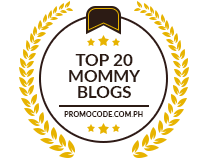 thank you soooo much for a very detailed and swak na swak tutorial…whew! soooo glad and really appreciate your help. hugs! This is a well tailored tutorial and well articulated for newbie like. Thank you SO much, I have been searching for hours on how to do this and everything I cam across was so complicated or just didn’t work. Finally here are some instructions that are straight forward and accurate. Thanks you so much you really have saved my sanity!! !